Kaudikasa village’s two decades of struggle with arsenic contamination in drinking water ends with a new government scheme. Yuvraj Singh, a former sarpanch of Kaudikasa near the tube well reported to have the highest level of arsenic contamination. Kaudikasa is a small village with a population of just 350 people in the Ambagad Chowki block of the Rajnandgaon district in Chhattisgarh. Despite its small size, Kaudikasa village has been in the news for all the wrong reasons. Severe health problems have been reported from the village, thanks to acute arsenic contamination in its groundwater. In fact, of the 22 villages affected by arsenic contamination in Ambagad Chowki block, Kaudikasa village is said to be the worst affected. 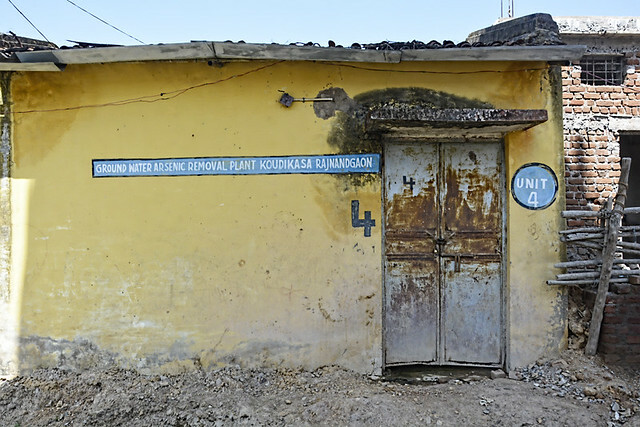 “In the last two decades alone, 15 people have died in Kaudikasa due to arsenic contamination,” says D.G.Goswamy, a registered medical practitioner in the village. 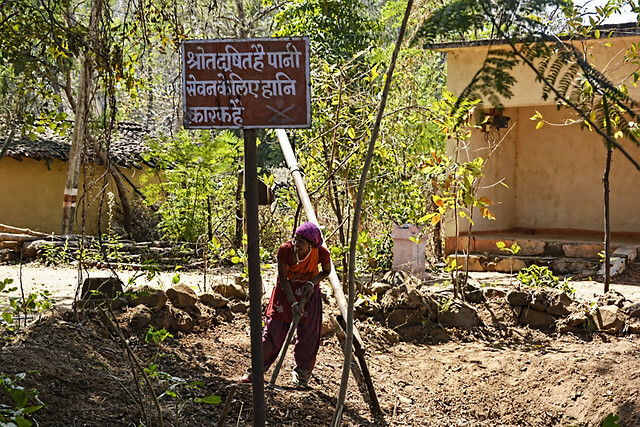 The villagers have been exposed to arsenic contamination for more than two decades now. As per the villagers, it began in 1976 with the uranium exploration done by the Bodal underground mines 3 km away from Kaudikasa. Even though the central government put an end to the operations in May 1989, much damage was already done through the decade-long operations it conducted including digging more than 600 metres below the ground level. The closure of the mines did not help the villagers who had started exhibiting symptoms of arsenic poisoning like drowsiness, headaches, diarrhoea, muscle cramping and skin lesions. Though initially, the villagers attributed the symptoms to some curse due to superstition, later they went to the district hospital and reported the matter. In 1999, some researchers took the matter seriously and did an extensive study on it. Groundwater samples from 146 sites, Public Health Engineering Department (PHED) tube wells and dug wells in 22 villages of this block were analysed. Various researchers like the International Groundwater Arsenic Research Group, Royal Institute of Technology, Stockholm, National Institute of Technology, Rourkela and Raipur and Palacky University, Czech Republic conducted research at the site and concluded that uranium mining in the area could be a factor for the increase in arsenic contamination in the groundwater. As per the WHO guideline, the maximum permissible level of arsenic in water is about 10 µg per litre. In Kaudikasa, the arsenic concentration in the tube well water had reached 520 µg per litre (measuring unit), whereas in the dug wells (general depth less than 50 m) the arsenic concentration was as high as 880 µg per litre. 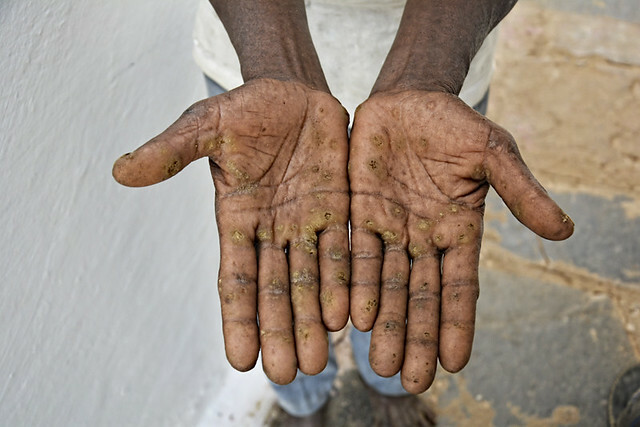 A medical study done in 2000 in the village indicated that 42 percent of adults and 9 percent of children were suffering from arsenical keratosis, a condition in which changes in skin pigmentation occur from long-term exposure to arsenic. Moreover, epidemiological studies indicated high concentrations of arsenic in urine, hair and nail in 89, 75 and 91 percent of the village population respectively. “The district administration took cognisance of the issue and sent a team for examining the matter in the late 90s after the matter was reported,” says K.K.Tiwari, a retired senior multipurpose worker from Rajnandgaon. The team collected various samples of skin, nails, hair and blood for examination. In 2000, people finally learnt that the reason for their suffering was arsenic contamination. “To mitigate the arsenic problem, the authorities installed five arsenic removal plant units in the village in 2005. But, the plants turned out to be ineffective. In 2006, the villagers began fetching drinking water from Metepar, a village 2 km away,” says Yuvraj Singh, a former sarpanch of Kaudikasa. It is after repeated requests to the authorities that their pleas were heard. 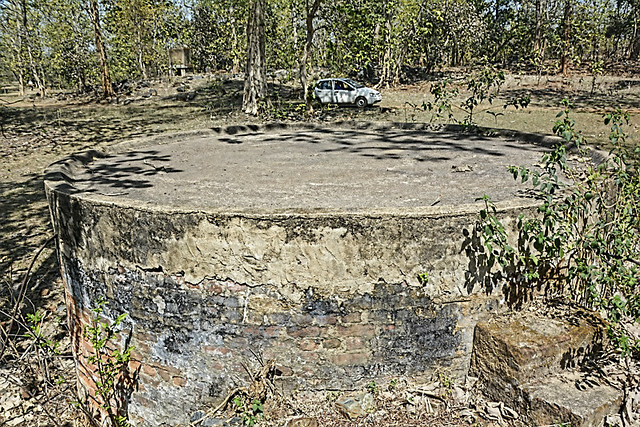 A notice from the National Human Rights Commission to the Centre and the Chhattisgarh government in February 2017 over reports that the number of people affected by kidney diseases is increasing due to the high level of arsenic in drinking water gave the villagers’ fight the much-needed impetus. 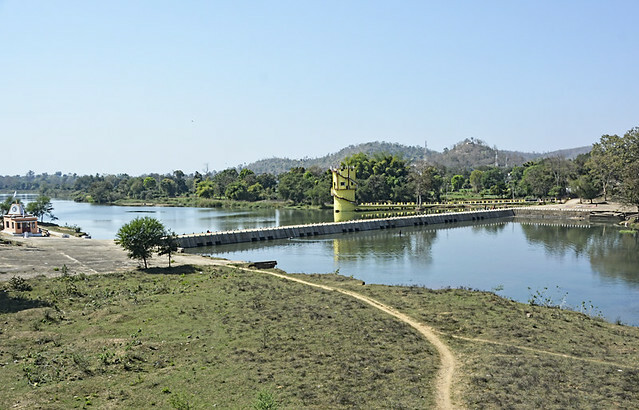 Eighteen years of their struggle saw result in 2017 when the government started supplying water from Shivnath river to the village under the drinking water scheme, Saansad Adarsh Gram Yojana (SAGY). Here is a photo essay that would provide a glimpse of the overall situation in Kaudikasa village.